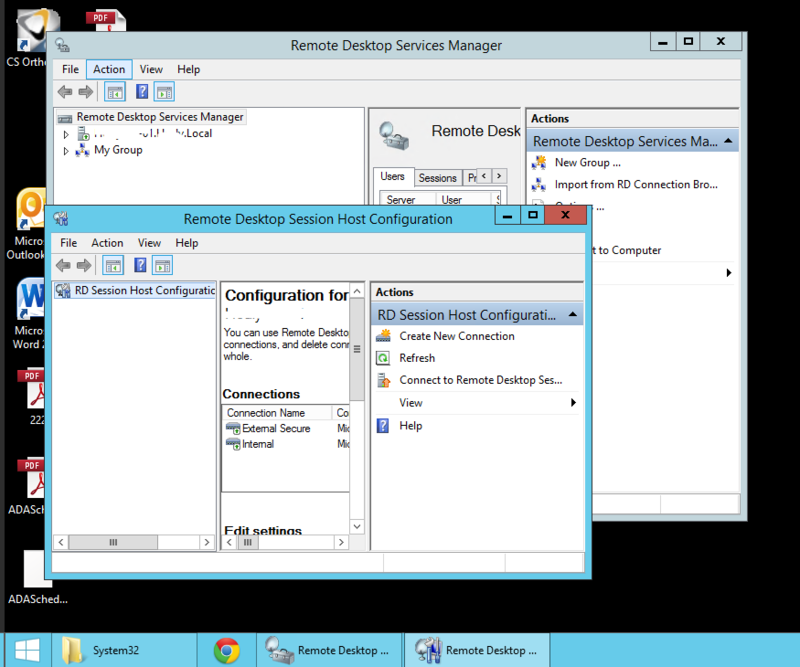 So this is the first time i have really came across the need in Server 2012 for Remote Desktop Session Host Configuration. We have a client that needs to allow generic accounts to log into their terminal server from internally, but prevent these accounts from external. In Server 2008 R2 it was easy. Add a new connector, add a new NIC, and setup as needed. 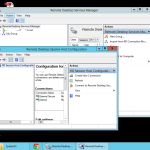 In Server 2012, Microsoft decided we don’t need to do that anymore. Well I’m sorry, but i do. So after lots of research, i found what i needed to do. Locate the registry keys on a Server 2008 R2 machine, import them into the Server 2012 machine, move a few other files, and away you go. And import into the new Server 2012 machine. Once you have these steps all done, you will need to reboot the server to make sure all is working. Then run create a shortcut to the file, and your good to go. Just came across your page when searching for the .msc and .dll files needed to make ts admin work on my 2012 server. Thank you very much for posting the files and reg entries all in one place! cheers! Can You explain please, Your reg data here and in TSADMIN are partially different, so which ones are right? Hi mate, This was a long time ago that i posted this, i don’t even think i have the original files. The ones i originally worked with were in German, and it was late on a Sunday night while trying to get a project done. We now dont bother with this, we have made friends with Remote Desktop Gateway. Its safer to publish over HTTPS rather than have RDP open over the internet anyway.